The National Coalition Against Censorship says the removal of videogames from Massachusetts highway rest stops is "constitutionally problematic." The state of Massachusetts decided to remove a number of arcade machines from its turnpike rest stations following a complaint that they were inappropriately accessible to young gamers. "At the end of the day, those games are there to entertain kids, probably for a few minutes, while their parents are resting from a long trip," Transportation Secretary Richard Davey said, explaining the decision to pull the machines. "I just think it makes all the sense in the world to have it be a more passive" game. But in a letter to Davey, National Coalition Against Censorship Executive Director Joan Bertin said he had no right to make that decision. "Videogames are protected speech under the First Amendment and, as such, cannot be regulated or restricted by state officials in response to concerns about their message or content," she wrote. "The [Supreme] Court struck down a California state law restricting the sale of certain videogames depicting violence to minors. The [Department of Transportation's] action in removing certain games because some people object to their message or content is equally constitutionally problematic." Bertain said there is no "legitimate state interest" that justifies the removal of the games and that by "caving in to the demands of one passer-by," Massachusetts is inviting other people to make similar complaints and expect similar results. "It is not a stretch to imagine someone demanding a ban on certain DVDs, magazines, or books. Perhaps other travelers will think it is inappropriate to broadcast news about war or crime, or other televised content," she continued. "It is no more acceptable for the [Department of Transportation] to remove certain kinds of videogames than it would be to selectively remove other materials in rest stops and concessions because some motorists find something in them objectionable." The complaint against the arcade games came after a family saw them being played at a rest stop near Newtown, Connecticut, shortly after the mass murder at the Sandy Hook Elementary School. 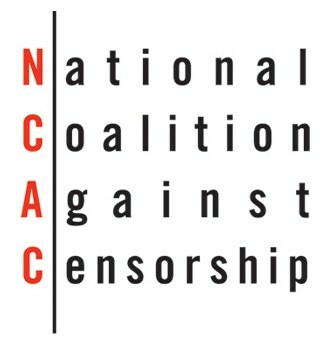 The NCAC did not say whether it would pursue the matter beyond the letter.